Don’t miss golf’s greatest PGA TOUR Champions players at the PURE Insurance Championship Impacting The First Tee, September 24 – 29, 2019. The 3-day, 54-hole tournament played at Pebble Beach Golf Links and Poppy Hills Golf Course features 78 PGA TOUR Champions players, 78 junior golfers (ages 15-18) from The First Tee, and 156 amateurs. 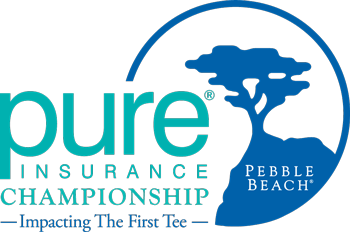 The PGA TOUR is pleased to introduce PURE Insurance as the title sponsor of this truly unique, time-honored event. PURE is recognized nationally for its uncompromising commitment to excellence in the insurance industry, and their values pair well with our efforts in putting forth quality competition and charitable impact to create a successful partnership. Learn more about PURE. Langer shattered the tournament scoring records with a winning total of 198, 17-under par, for his first career victory at Pebble Beach. The previous records for low total, as well as relationship to par, were set in 2004 by Craig Stadler, who won the Monterey Peninsula’s inaugural PGA TOUR Champions tournament with a total 201, 15-under. Langer’s performance also led to him and partner Justin Potwora winning the pro-junior team competition, only the third time in tournament history that a pro won both the individual and team titles (Craig Stadler 2004, Kirk Triplett 2013). Langer and Potwora, 17, of Eugene Ore., representing The First Tee of Greater Portland, finished at 194, 21-under-par, to win by two shots. The amateur team competition wound up in a two-way tie at 177, 38-under par, with the twosome of Michael Rubio and Kelly Jensen winning in a card tiebreaker over Tager Olson Neil Hughes. 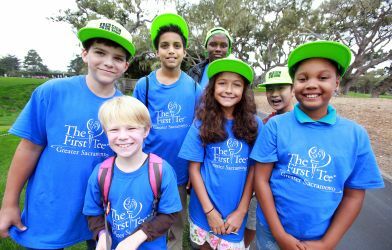 The First Tee is a nonprofit youth development organization with golf programs centered on building character through Nine Core Values™: honesty, integrity, sportsmanship, respect, confidence, responsibility, perseverance, courtesy and judgment. The 81 juniors are selected annually by a national panel of judges that evaluate participants’ playing ability and comprehension of the life skills and core values learned through their involvement with The First Tee. 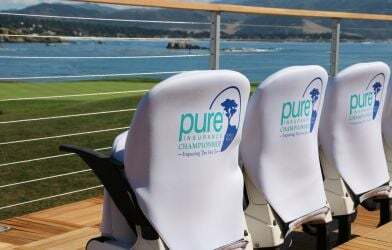 Monterey Peninsula Foundation stages two celebrated golf tournaments: the PURE Insurance Championship a PGA TOUR Champions event, and the AT&T Pebble Beach Pro-Am on the PGA TOUR. Each year, the community investments that stem from each of these golf tournaments support hundreds of nonprofits working to impact thousands of lives in California’s Central Coast region.